I was asked to review this children’s book. Of course, I read it with my daughters. Separately. Emma, my 7 year old, said it had “too many words” for her to read it to me. She liked the layout and the marker look of the illustrations. 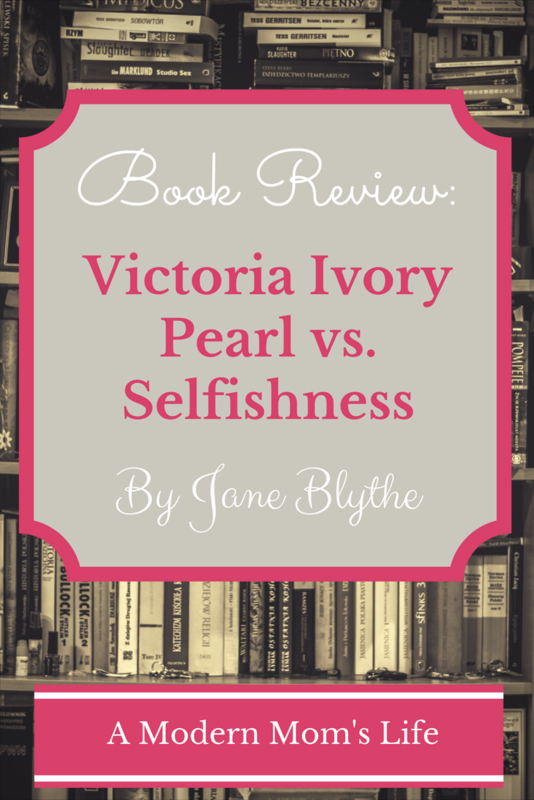 She did not like the constant repetition of “Victoria Ivory Pearl” throughout the text. Emma fully understood the moral of the story, so to speak, and she seemed to think the story made good sense. She was glad Victoria Ivory Pearl decided to share in the end so she could be with her friends. Emma also thought the idea of writing this story with a school class was very neat and she asked to take it to school to show her teacher. She loves sharing things that she finds interesting. Rose, my 5 year old, is currently in Kindergarten and can sometimes be quite selfish. Plus she’s been known to throw toys when she’s mad. 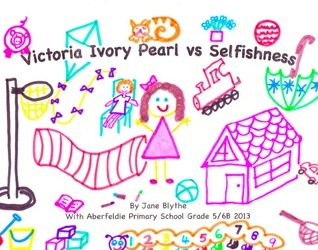 A few similarities between herself and Victoria Ivory Pearl makes the book a little more special for her. Watching her face while I read this story to her was amazing. She had so much empathy for young Victoria Ivory Pearl! She even suggested that the other children were “being selfish too!” by not sharing back. I suspect she didn’t fully grasp the big picture of story, but she did understand that being selfish is bad and can make people not like you. She also enjoyed the illustrations. She couldn’t quite understand why someone drew “on the story.” I had to tell her it’s that way on purpose. I know she’ll ask me to read it again. My impression of the book was favourable. The illustrations were whimsical, but the yellow marker is hard to see in some lighting conditions. I’m not sure if adding a background colour would help, but I do love the marker look, just like Emma and Rose do. The story is very relatable for young children. It’s written well for parents or caregivers to read with their kids. I did notice a few verb tense shifts throughout the book that the kids didn’t pick up on. I’m a picky grammar reader! I’d recommend this story, especially for kids who can be selfish or are struggling with sharing. Nice post. I like the way you included the girls views of the story along with your own. This should be helpful for other parents. Thanks! I thought that would be a better indicator of how a children’s story is appreciated – by being reviewed by children!